Since taking the Korean film scene by storm with his ultra-low budget debut feature, “Die Bad”, Ryoo has been making noteworthy films in the action and thriller genre such as “No Blood No Tears”, “Arahan”, “Crying Fist”, “City of Violence” and “The Unjust”. Nicknamed ‘Chungmuro’s Action Kid,’ Ryoo’s pulpy crime thrillers have recently given their place to blockbuster film during the latest years, with films like “Veteran” and most of all, “Battleship Island”. Hwang Jung-min is an actor who completely melts into his characters. No other actor is as versatile as he is. He turns himself instantly into a character like a chameleon for any genre or style of movies. From romantic melodramas, to social dramas, to gangster and action films, to horror, Hwang has highlighted his range and prowess in almost every genre possible. 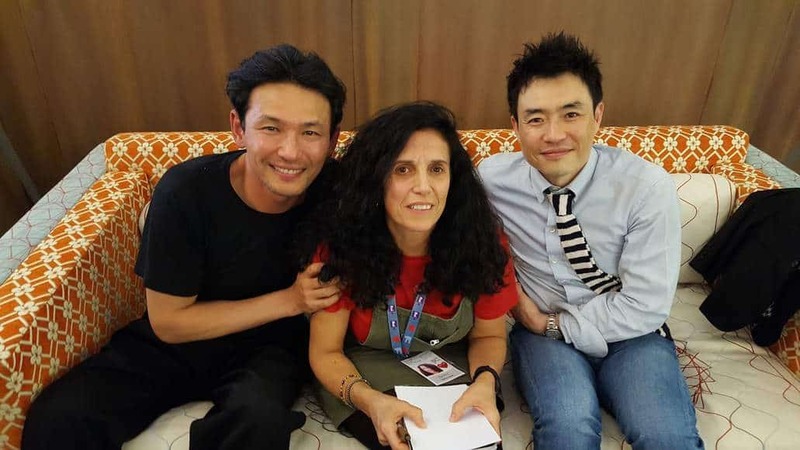 On the occasion of their films, “Veteran” and “Battleship Island” Director’s Cut” screening at Udine Far East Film Festival, we speak with them about their careers, their collaborations, war and Korean cinema. In recent years, Korean cinema seems to have a closer contact and interchange with the history of the country. Is this correct? 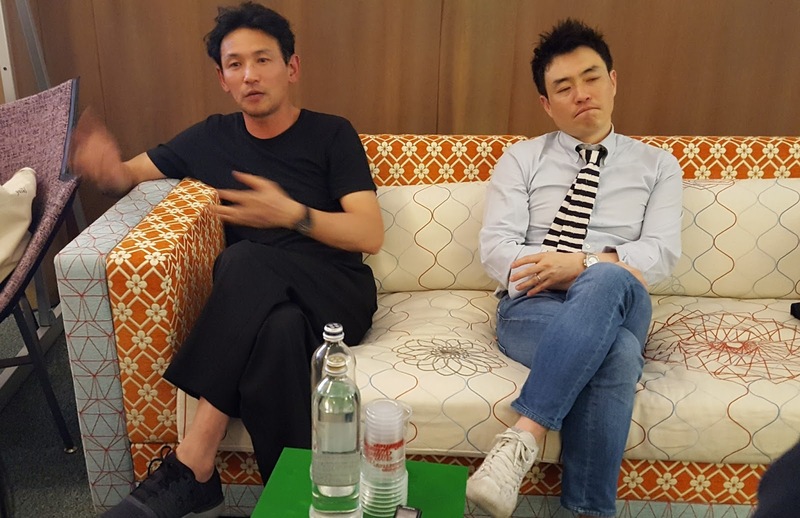 Ryoo Seung-wan – Usually in Korean movie industry, many films are about contemporary stories, but a good part concentrates also on the past. Contrary to American cinema, rarely we deal with future. And. I think in Italy is the same, like Italians, Koreans are very attached to the past and maybe that is the reason behind the production of many of these films. Hwang Jung-min – As you probably know, South Korea has experienced very difficult moments in a short period of time. WWII first and that the war between South and North shortly after. In the following years, we witnessed a fast modernisation based on free market and today South Korea, economically and industrially, is one of the strongest and most powerful countries. All this happened really quickly, skipping the normal, gradual process, and this has created a number of social issues that are still partially unresolved. I think this is the reason why our films often narrate our recent Korean history, we are still elaborating the past. And as an actor, “Battleship Island” is not the first time you happen to navigate through contemporary Korean history, like in “Ode To My Father” that three years ago won the Audience Award here in Udine. HJM – Really? I didn’t know it was awarded here. Anyway, yes, both talk about Korean recent history but – as an actor – I concentrated on my role of a man, a citizen and a father in both films. And in both movies there are scenes in deep mines. 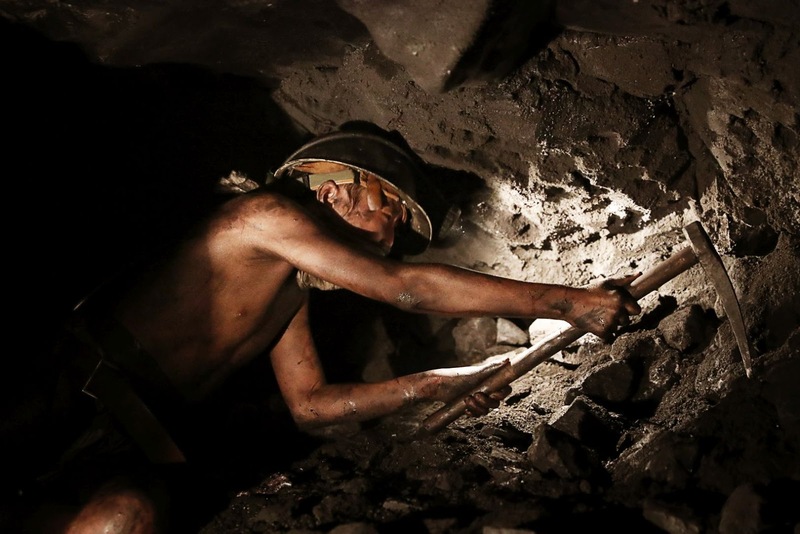 You must be an expert miner by now! HJM – (laughs) In “Ode To My Father”, the shoots in the mines were very exhausting, I hated them an therefore this time I asked the director to put me out of the mines, and apart from some initial scenes, I am always out. Can you tell us about the decision confront such a difficult and delicate situation like the war and the Japanese Occupation? RSW – Koreans still think a lot about the Japanese colonisation times, surely my movie is uncomfortable, politically speaking. When I was working on it, the situation was yet unstable and critical in Korea, there were tensions with Japan, the relation between Japanese Prime Minister Abe and our President Pak were complicated and it didn’t make it easy for me working on this movie. There was a tense and worrisome atmosphere within the crew but we managed and we finished it and we are happy. When I watched the movie and saw it ends with the explosion of the atomic bomb released by the Americans on Nagasaki, I was shocked because that really flips the balance of the movie and sets it right. In a sense, that shows that the real evil is not on the Japanese side or Korean side or any side but it is just the evil of the war. I was wondering if I was correct and if that was intentional. RSW – Yes! I really would like to give you an award right now as your interpretation is correct and spot on. It was my way to convey this very message. Can I also ask you the reasons behind your choice of an Ennio Morricone’s tune (The Ecstasy of Gold from “The Good, The Bad and The Evil”) in one of the action sequences of “Battleship Island”? RSW – Well, there isn’t an exact reason, I have been listening to that tune a lot while I was filming. I was listening to it over and over again and I couldn’t get it out of my mind. I thought it was really interesting and when I was at the editing table, I really did follow the rhythm of that song in editing the images, so I decided to use it and I wrote to Ennio Morricone and he kindly agreed to let me to use it. So, I cannot really explain why I used it … it just happened naturally. I guess you have an interest in Italian cinema then? RSW – I do have it, there are few more references in the film to Italian cinema. For example, the character of the little girl and the connection between father and daughter can be reminiscent of the father and son in Benigni’s “Life is Beautiful”, where the comedy element is there to protect the girl and make sure she doesn’t realise the hell she is in. It’s her father’s way to protect her and shield her. Moreover, there is a scene in the director’s cut only, where the insane governor is burning the registers of the coal mine, and you see his mad eyes on the top half of the screen, over the Korean fugitives and hellish scenes of fire, and that is inspired by Dario Argento’s movies, with this mad fantasy music over the extremely powerful and violent images. You have been worked together more than once, on “The Unjust”, “Veteran” and “Battleship Island”, and I guess you know each other pretty well now. Can you tell us a good thing you really like and appreciate of each other? RSW – I can actually tell you many good reasons why I like and feel comfortable working with Hwang. First, while filming on location he is very happy to play the baddie in my place so that I can always be the good one. Second, when we go out to drink or eat, he is always the first one to get the wallet out and I always end up not paying. But more seriously, I can honestly say that Hwang has always brilliant ideas to improve the shoots and he gives me really good advise. Moreover, I want to say he is a great actor and a great human being. He often arrives first on the shoots and is happy to help the others. Despite being a mega star in Kore,a he is an humble man and I appreciate him a lot for this. HJM – (On the same subject) I am considered a celebrity in Korea but I never care about fame. I just want to do the things I like and for this reason, back in high school I created a theatre group, because I loved acting. And I still do it now with the same passion. You are an actor with an incredible range, covering roles in movies that span from comedy, romance and drama to interpreting psychopaths and martial artists, and I assume you must have mastered the art of detaching yourself from the characters you play. But was there a role in all your career that really challenged you emotionally, a role you couldn’t shake off easily? HJM – (He thinks a lot) Oh maybe not, I don’t think so. I really manage to differentiate myself from the fiction and get out of the character and when the shooting is over and I go the the screening to watch the movie I can really enjoy it because the actor on screen feels like he is a different person.